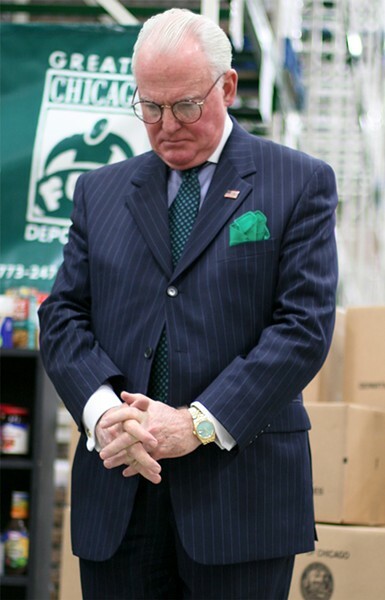 In the category of closing the gate after the horse has bolted from the pasture, Mayor Rahm fired Ed Burke as chair of the all-important City Council finance committee after the feds indicted the 14th Ward alderman on charges of shaking down a Burger King franchisee. Wow, there's a lot to unpack in that sentence, starting with . . .
Why does the mayor have the authority to select the chair of a council committee in the first place? We're supposed to have a check and balance system between the executive and legislative branches of government—even in Chicago. This is like President Trump telling Senator Mitch McConnell who should chair the Senate budget committee. OK, Trump would probably get away with that. But Trump's cavalier manner of governing is hardly the model we should be emulating. In the aftermath of Burke's indictment, Mayor Emanuel put on his sad and somber face—as though he were really hurt and surprised by what went down—and told the Tribune that public servants must have "a moral and ethical compass that informs your judgment of right from wrong." You know, I think I've had enough of quoting Rahm on the subject of morality and ethics and right and wrong—especially since Rahm replaced Burke as finance chair with 40th Ward alderman Patrick O'Connor. That's a little like running over the horse with a truck after he's bolted from the pasture—to complete that analogy. All right, now that I've gotten that out of my system, let's break things down, starting with the obvious: why did the newly elected Rahm agree to keep Burke as finance chair in the first place? It's not as though we needed the feds to tell us that Burke was embarrassingly incompetent at his job and morally and ethically challenged. The finance committee oversees the approval of billions of dollars of contracts—including TIF deals. At the very least, the finance chair should be a vigilant fiduciary defender of taxpayer interests. And yet Burke's the guy who waved through the parking meter deal—with O'Connor's assistance as mayoral floor leader—with no legitimate oversight after a day or two of hearings. Think about this—Burke (and O'Connor) thought it was a good idea to sell a $10 billion asset for $1.15 billion. Good God—both of them should have been bounced from office for gross incompetence years ago. As for Burke's conflicts of interest—just a couple of weeks ago, WBEZ's Dan Mihalopoulos and the Better Government Association (BGA) broke a story about Burke being "the king of recusals." They're referring to Rule 14 of the council code of conduct in which aldermen must recuse themselves from voting on matters on which they have a potential conflict of interest. 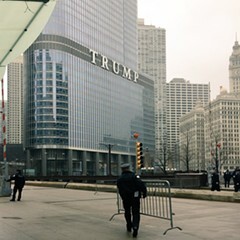 As the federal indictment points out, Burke runs a law firm that specializes in winning tax breaks for wealthy and well-connected property owners (like Donald Trump). The breaks that Burke's firm wins for the Trumps of the world jack up the taxes the rest of us have to pay to compensate. So while Rahm and Burke are saying they're working overtime to reduce the burden on taxpayers, Burke is essentially making big bucks by getting us to pay more in taxes. 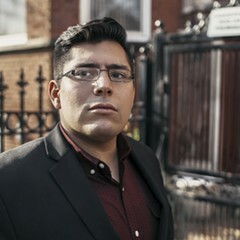 Over the last eight years, Burke has had to recuse himself on various council votes regarding his clients 464 times, WBEZ and the BGA reported—"the comparable total for all 49 other aldermen combined is 108." And then there's Burke's role in Council Wars—one of the ugliest chapters in recent Chicago political history. Back in the 80s, Burke and his pal—former Alderman Edward Vrdolyak—led a Trump-like, white nationalist uprising against Mayor Harold Washington. The purpose was to exploit white fears and prejudices about a black mayor to sabotage the Washington administration and gain more power for themselves. Burke has never accounted for his role in Council Wars, much less apologized for it. All of this history was well known in 2011, when Rahm swept into office and agreed to keep Burke as finance chair? Obviously, Burke and Emanuel cut a deal: Rahm would look the other way as Burke made millions on his property tax business. 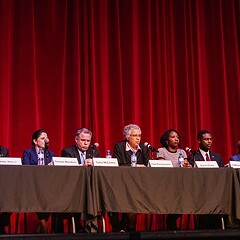 And Burke would use his mastery of council procedure to usher through any legislation that Rahm wanted. No questions asked. And then when the feds indict Burke, Rahm acts like he's shocked and offers lectures on ethics and morality. It reminds me of the deal Rahm cut with Barbara Byrd-Bennett when he named her CEO of Chicago Public Schools. As long as Byrd-Bennett agreed to be the public face of Rahm's school closings in black neighborhoods, Rahm would look the other way at her shady business dealings. If you recall, Rahm also offered sad and somber lectures on ethics when the feds indicted Byrd-Bennett for her role in a $20.5 million contract scandal. I suppose I could sort of put up with Rahm making deals with the devil if it meant he were passing progressive legislation that benefited everyday people. But Rahm cut his deals with Burke to pass regressive policies that took from the poor to feed the rich. He didn't need to get into bed with Burke to do that. 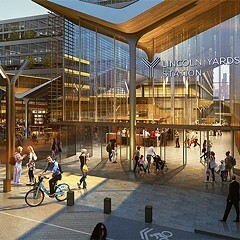 And now he doubles down by replacing Burke with O'Connor—just in time to have O'Connor use his mastery of council procedure to rush approval of, among other things, the $800 million (at least) TIF handout to the Lincoln Yards developers. Here we go again—as Dolly Parton might say. 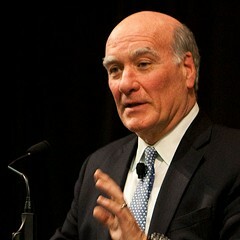 Mayoral candidate Bill Daley’s proposed City Council cuts don’t sound so bad with aldermen talking like mobsters.